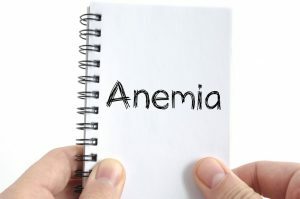 Anemia conditions can be mild or severe, and the Social Security Administration looks closely at the severity of medical symptoms that negatively impact red blood cells. Some anemia conditions are so crippling that hospitalization and special medical treatment is the only way to get relief. Hemolytic anemia falls into this category. If you’ve been diagnosed with hemolytic anemia, and your condition is so acute that it makes holding down a job difficult, or impossible, you may be eligible for SSDI benefits. In order to evaluate your need for benefits, SSA requires a laboratory report from a reputable doctor as proof that you indeed have hemolytic anemia. There are two types of medical laboratory reports that are accepted by SSA as evidence of your condition. The first type of report shows a positive test for hemolytic anemia, which is a common hematological disorder. The report is signed by a physician. You can also turn in an unsigned lab test report that shows conclusively that you have the disorder. When no official hematological report is available you have a third option. You can ask your doctor to write a physician report that includes a definitive diagnosis of hemolytic anemia. A simple statement isn’t enough to be persuasive. This report must state that you’ve had the appropriate lab tests, and those tests provide absolute proof that you have this type of hematological disorder. If the doctor isn’t able to use a lab test, another type of acceptable proof must back up the diagnosis stated in the report. If you are between doctors, SSA makes every effort to gain access to lab tests taken previously. However, they won’t pay for test results that are expensive, complex or invasive. The agency evaluates hemolytic anemia arising from inherited disorders including sickle cell disease, spherocytosis, thalassemia and systemic lupus. Since complications vary so much, SSA allows for all sorts of complications when patients are hospitalized. They also accept hemoglobin measurements taken during acute episodes, instead of making you give measurements when you’re pain free. Common symptoms you may feel during the worst episodes are fatigue, malaise and various levels of pain. To be considered for SSDI these symptoms must directly correlate with your lab test results. The agency considers the severity of symptoms, and how your symptoms impact your ability to function on a daily basis. Whether you are currently undergoing treatment for your condition, or correctly following treatment, is not a factor in its decision to award benefits.